Does Bakery Units Buy Wheat ? As its every where bread has become staple food for most of the house hold Australians have started experimenting new varieties of bread such as fiber or whole grain breads. BREAD, despite the inroads into our diet of growing wealth, multiculturalism, fads and the profusion of snack foods, remains the staff of life. Australians have reduced average consumption but the bread industry has fought back, producing a profusion of varieties: wholemeal, whole grain, seeded, sweetened, sourdough and rye, artisan loaves, focaccia, ciabatta and flat breads. Bread is a $2.5 billion-a-year industry in Australia. In 1948-49, Australians ate on average 64kg of bread a year. By 2000, that had fallen to 53.4kg. But bread remains such a staple of the national diet that when the food regulator, Food Standards Australia New Zealand, decided to fortify the population's diet with folic acid and iodine in 2009, it chose bread as the vehicle. 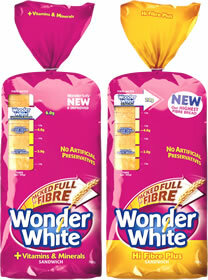 Two bread companies dominate the market: Goodman Fielder, which owns 15 labels, including Helga's and Wonder White, a fibre-added white bread claimed to be the No. 1 bread brand in Australia, and George Weston, which owns 10 brands, including Tip Top and Burgen. Woolworths is the single largest seller of bread, accounting for more than 30 per cent of sales. It both retails packaged branded breads and bakes its own in-store. Andrew Ortland, business manager of the supermarket's proprietary cakes and breads, agrees customer focus has shifted away from the traditional white into grain loaves.